“If we believe in freedom, we believe in the sanctity of each individual to own and control the fruits of his labors. This means that freedom naturally encompasses the six or seven commandments that deal with how we treat others. Thou shalt not steal, kill, lie, covet others’ possessions, or dishonor others. Freedom ain’t free. We’ve all heard that. But freedom is also tough to take at times! Living in a land of liberty ensures that we hear things we vehemently disagree with – things that would never be thought, let alone said, in our own home. It means that the rock band next door might have daily jam sessions. 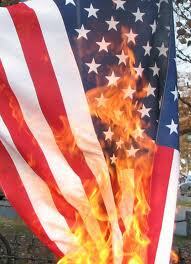 It guarantees that a symbol of freedom which we love dearly will be burned or stomped on. It means that our neighbor will use his property in a way we know to be harmful to the land or in a way that offends our own sense of taste. It allows for the possibility that a woman might own 235 cats and have no way of taking care of them to the extent we deem they should be cared for. ~ by topcatsroar on July 4, 2016.